5. SC strikes down Section 57 of #Aadhaar Act which allows private entities to demand Aadhaar to access services. Labelling Aadhaar as mass surveillance tool created by Unique Identification Authority of India (UIDAI) and supported by those in power for political benefits, globally known whistleblower Edward Snowden has warned that due to linking the UID with everything, Indians could face a civil death. He also recommended criminal penalty, including jail, for anyone demanding Aadhaar for providing a service that is unrelated with social benefits from the government. Speaking at the fifth edition of ‘Talk Journalism’ in Jaipur via video conferencing on 11 August 2018, Snowden, who exposed mass surveillance programs run by the US government, intelligence agencies and big corporations, warned about excessive abuse and privacy violation through demanding Aadhaar for everything by the government and private players. “You will be tracked, monitored, and recorded in a hundred different ways and not just by UIDAI, but by the Aadhaar number they created that is being used by every other company and every other group in society,” Snowden said. “There should be a criminal penalty on those seeking Aadhaar number for providing any service and they should be sent to jail, if required, for this crime. It has become so vulnerable that if you search a number on the internet, you will get all information of a person,” Snowden said while referring to the RS Sharma Aadhaar exposure episode. Snowden feels Aadhaar should be used only for social benefit from the government and not for any other service from the government as well as private players. “The biggest crime behind this system is that it is being used for things that are unrelated to what the Government is paying for. To open a bank account, to buy a train ticket, or for more and more services they are demanding not just the number but physical (biometric) verification of your ID card. All these players and corporates have 100 ways of monitoring and abusing your privacy through this system,” he added. Commenting on how the UIDAI phone number landed on all Android phones in the country, Snowden raised questions on user rights and privacy in India. A few days ago, millions of Android phone users found UIDAI helpline number 1800-300-1947 in their contact list. While UIDAI tried to distance itself from the helpline number controversy, Google took the blame. It stated, in 2014, the UIDAI helpline number was ‘inadvertently coded’ in Android release given to original equipment manufacturers (OEMs) or mobile makers. “UIDAI should make people aware of how Aadhaar can be misused instead of transferring the blame on Google and pretending not to have any knowledge of the fact. The number of things they (UIDAI) always say is that their data is safe, their biometrics are secure. The idea is not that you can go on the internet and access anyone’s Aadhaar information directly, but that it is being leaked all over the place. There is an unrelenting train of scandals about Aadhaar, and they should respond to this in a reasonable way. They should be addressing the criticism and reforming the system instead of saying any criticism of us is illegitimate, it is scare-mongering,” he added. The global whistleblower, who heads FreedomofPress, also talked about the importance to have free press in a democracy. He said, Rachana Khaira, the journalist from The Tribune, who was able to buy access to Aadhaar system and thus to personal details for just Rs500, deserves an award and not police complaints. There are several people, especially youngsters, who freely share every bits and piece of information with others, without understanding their right to privacy or its implications. One of the reason could be the statements from the government to not to worry about privacy, data security and rights. “Where did that argument originate from? The answer is from Nazi Germany. But in a free society this should be the opposite. You do not need to explain why you have a right. You do not need to explain why your personal data is valuable or why you need your privacy,” Snowden said. 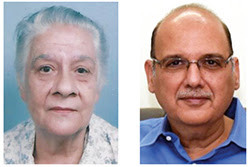 The unceasing and untiring efforts of chartered accountant Jehangir Bisney and advocate Shireen Baria ensured a landmark judgement in the unique case of a semi-coma patient in Secunderabad. Dr Parin Vakharia of Secunderabad, who is 94 years old and presently in a semi-coma state for the last seven years, started receiving hostile calls and messages from her banks and other institutions for linking her Aadhaar. Vakharia is a retired founder dean of the faculty of social work, The Maharaja Sayajirao University of Baroda, retired social affairs officer in the social services section of the United Nations Bureau of Social Affairs at New York, USA and retired director of Princess Esin Women’s Educational Centre at Purani Haveli Hyderabad. She has been incapacitated and bedridden since 2011 due to a cerebrovascular accident. With Bisney’s assistance, efforts started in April 2017 to enable Vakharia get an Aadhaar card. In order to do this, two attempts were made by the Aadhaar authorities by bringing the required equipment to her home to obtain her fingerprints and biometrics. However, on both the occasions the enrolment was rejected due to very poor quality of fingerprints and the inability to capture her biometrics due to her age. Because of her prolonged state of semi-coma, she was unable to open her eyes voluntarily or hold the eyes still for scanning. Thereafter, Bisney sent several emails to the Unique Identification Authority Of India (UIDAI) but he did not receive any reply to his emails. Frustrated, he personally approached a senior official at UIDAI Hyderabad who gave him a patient hearing and assured him that the formalities for issue of the Aadhaar card would be completed in a few days. However, despite several reminders to the said official, there was no concrete response. 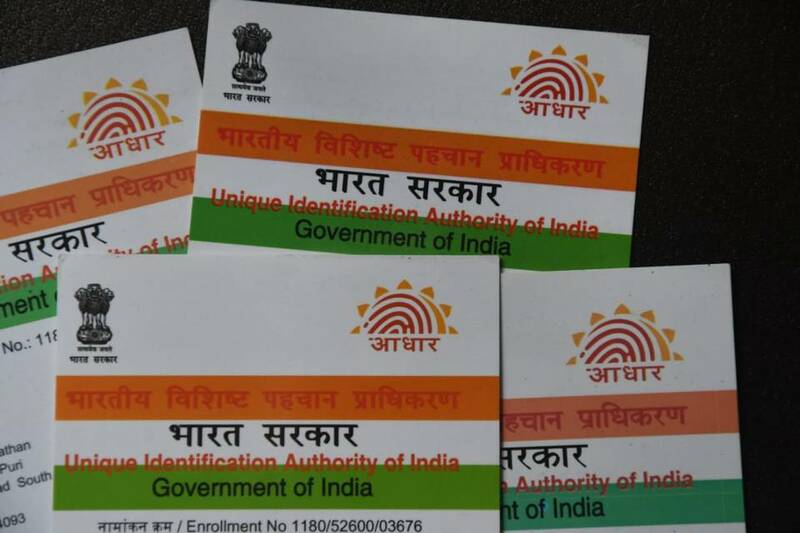 Banks, mutual funds, financial institutions and other places where Bisney was dealing with on behalf of Vakharia, were sending repeated reminders for linking of her Aadhaar card. He feared that non-submission of the same by the due date could create tremendous hardship for her in the event of her bank accounts and other investments getting frozen and inoperative. Left with no option, Bisney approached his friend and Supreme Court lawyer Baria based in Secunderabad to take up the matter. A finely worded legal notice was sent to UIDAI by Baria. However, UIDAI failed to respond to this too. 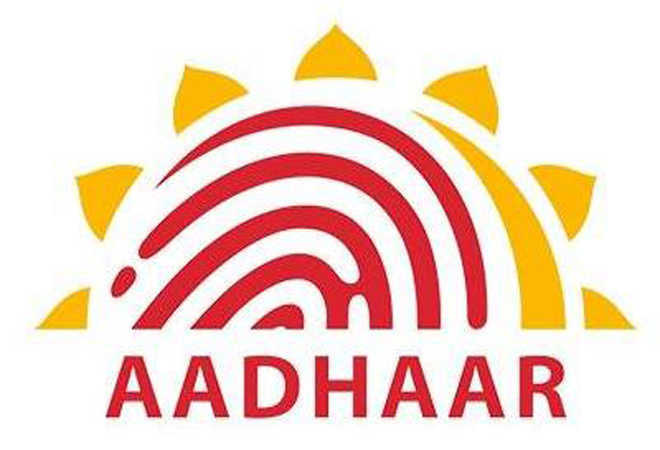 With the then deadline of March 31, 2018 for the linking of the Aadhaar looming large, Bisney and Baria filed a writ petition before the Hyderabad High Court. Baria mentioned that Vakharia was under immense pressure to obtain an Aadhaar number, failing which her entire earnings, income and investments in all her bank accounts would be frozen and become inoperable, leaving her with no remedy for her sustenance and medical needs. If Vakharia was not issued an Aadhaar card she would not be able to pay her medical expenses nor the salaries/payments to doctors, nurses, caretakers, thus endangering her life and infringing upon her fundamental right to life, it was argued. There was a strong possibility of a restriction upon her liberty to use her own monies for want of an Aadhaar card. In view of her age and medical condition, the High Court immediately stayed the requirement of the Aadhaar. In this landmark judgment, Vakharia thus got relief from the submission of the Aadhaar to banks and financial institutions. 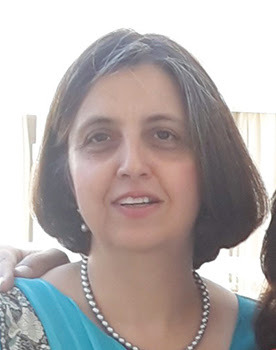 Vakharia has no living relatives in the twin cities of Secunderabad and Hyderabad and she was just very fortunate that her chartered accountant Bisney stepped in. 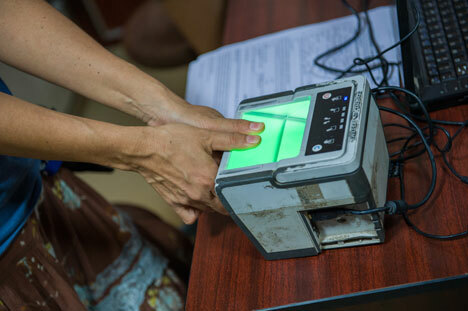 The Supreme Court bench of five judges hearing clubbed petitions against Aadhaar linkages on May 9 heard submissions by senior advocate Shyam Divan. He said that people have been facing a lot of difficulties in authenticating and specifically cited her case. Bisney feels that “there are lakhs of Vakharias in India and everyone does not have a Bisney or a Baria to come to their rescue. Such people are deprived of their pension, ration and other financial transactions just because their fingerprints and/or biometrics failed to get them the Aadhaar.” Bisney hopes that the Supreme Court presently hearing the Aadhaar case considers all such circumstances before passing a judgment. “No person in India can be deprived of his or her right to livelihood for want of an Aadhaar card,” he averred. Hint of new Aadhaar deadline? The Centre on Tuesday assured the Supreme Court that the government was open to extending beyond March 31 the deadline for linking Aadhaar cards with bank accounts and mobile phones. “We have extended the deadline in the past too. We can do it again. Let’s see how the hearing proceeds. If required, we can do it again,” attorney-general K.K. Venugopal told a five-judge constitution bench. The bench, headed by Chief Justice of India Dipak Misra, is dealing with a slew of petitions challenging the constitutional validity of the Aadhaar law. The attorney-general gave the assurance during the closing hours of the day’s hearing in response to pleas made by senior advocates who felt the hearing might extend beyond March 31. Although not officially stated, there are indications that the deadline could be extended till May 31 or even beyond as the hearing of the case may go on for another month. Thereafter, such benches usually reserve the judgment. The verdict may be pronounced a month later or in July after the summer vacation. Posted on March 7, 2018 Categories UID-AadhaarLeave a comment on Hint of new Aadhaar deadline? Investigations by The Tribune reveal that the racket may have started around six months ago, when some anonymous groups were created on WhatsApp. These groups targeted over 3 lakh village-level enterprise (VLE) operators hired by the Ministry of Electronics and Information Technology (ME&IT) under the Common Service Centres Scheme (CSCS) across India, offering them access to UIDAI data.CSCS operators, who were initially entrusted with the task of making Aadhaar cards across India, were rendered idle after the job was withdrawn from them. The service was restricted to post offices and designated banks to avoid any security breach in November last year.Spotting an opportunity to make a quick buck, more than one lakh VLEs are now suspected to have gained this illegal access to UIDAI data to provide “Aadhaar services” to common people for a charge, including the printing of Aadhaar cards. However, in wrong hands, this access could provide an opportunity for gross misuse of the data.The hackers seemed to have gained access to the website of the Government of Rajasthan, as the “software” provided access to “aadhaar.rajasthan.gov.in”, through which one could access and print Aadhaar cards of any Indian citizen. However, it could not be ascertained whether the “portals” were genuinely of Rajasthan, or it was mentioned just to mislead.Sanjay Jindal said all of this could be confirmed only after a technical investigation was conducted by the UIDAI. Printing Aadhaar cardThis correspondent later again approached Anil Kumar to ask for software to print Aadhaar cards. He asked for Rs 300 through Paytm No. 8107888008 (in the name of ‘Raj’). Once paid, a person identifying himself as Sunil Kumar called from mobile number 7976243548, and installed software on this correspondent’s computer by accessing it remotely through “TeamViewer”. Once the job was done, he deleted the software drivers, even from the recycle bin. Possible misuseGetting SIM cards, or bank accounts in anyone’s name. Last month, a man was arrested in Jalandhar for withdrawing money from someone’s bank account by submitting a fake Aadhaar card. Government has announced the mandatory linking of Aadhaar to various financial services, the deadlines of which are fast approaching. 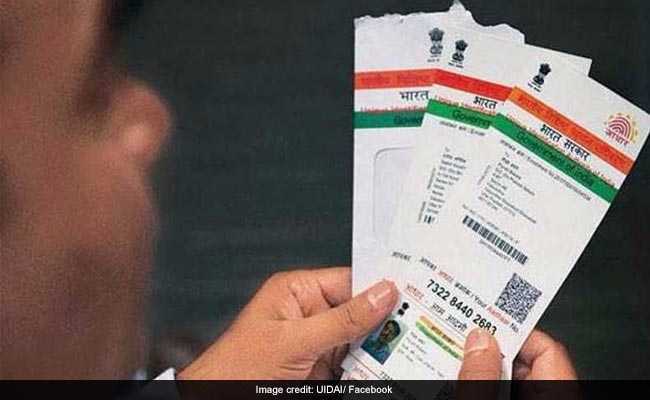 The Unique Identity Authority of India (UIDAI) has announced different deadlines for linking of Aadhaar with bank accounts, PAN, mobile numbers and others. Missing these deadlines may lead to dissolution of important services. However, a five-judge Constitution bench of the Supreme Court is yet to decide on granting of an interim stay on Aadhaar being made mandatory to be linked with all these utilities. This is based on a plea by petitioners who challenged the linking of Aadhaar with various essentials, saying it violates the right to privacy. The deadline for linking bank accounts with Aadhaar is December 31, 2017. The linking can be carried out at the bank’s branch or through net banking. The Central Board of Direct Taxes has extended the deadline for linking Permanent Account Number (PAN) with Aadhaar to March 31, 2018. The Aadhaar-PAN linking can be done on the Income Tax website. The last date to link Aadhaar with mobile phone number is February 6, 2018. The linking can be done at a store or a service centre or by calling the customer services wing of the service provider. The deadline to link insurance policies with Aadhaar is December 31, 2017. This can be done by logging into the insurance companys’ websites or visiting the customer services departments of the providers. The last day to link your Aadhaar card with mutual fund investments is December 31, 2017. The linking can be done by taking help of the registrar and transfer agents. The last day to link Aadhaar to social security services is December 31, 2017. These services include availing of LPG cylinders and educational scholarships, among other things. Updating Aadhaar details by December 31, 2017 is mandatory for subscribers of Public Provident Fund.